As it continues, the conversation deepens. 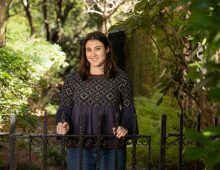 After the tragic mass shooting at Mother Emanuel A.M.E. Church in June 2015, which counted among its nine casualties longtime College librarian Cynthia Graham Hurd, the pressing need for galvanizing talk on the country’s racial divide was painfully clear. Immediately following the horrific event, Google was moved to support a new initiative promoting frank and open talks about race, reconciliation and social justice. To do so, the company found a fitting lead partner in the College’s Avery Research Center for African American History and Culture. 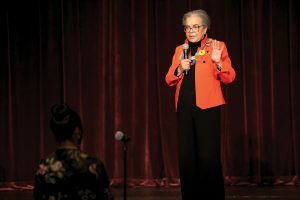 In collaboration with the Avery Research Center, the Lowcountry Digital History Initiative and numerous community partners, the inaugural program of the Race and Social Justice Initiative (RSJI) presented a series of talks led by prominent national figures who are celebrated for their work in social justice. The goal was as ambitious as it was hopeful. The result realized its ambitious mission, while affirming its stance of hope. And, now, we take those talks further. With the generous support of Google, this truthful, complex and all-important exchange will continue in the year to come. The company has renewed – and increased – its commitment to the Race and Social Justice Initiative. 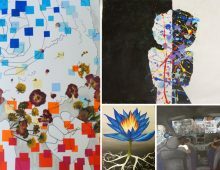 The ongoing support for this groundbreaking initiative will enable the project to sustainably implement educational outreach, research projects and programming that together generates fundamental change. Through RSJI, we have spoken of the future. 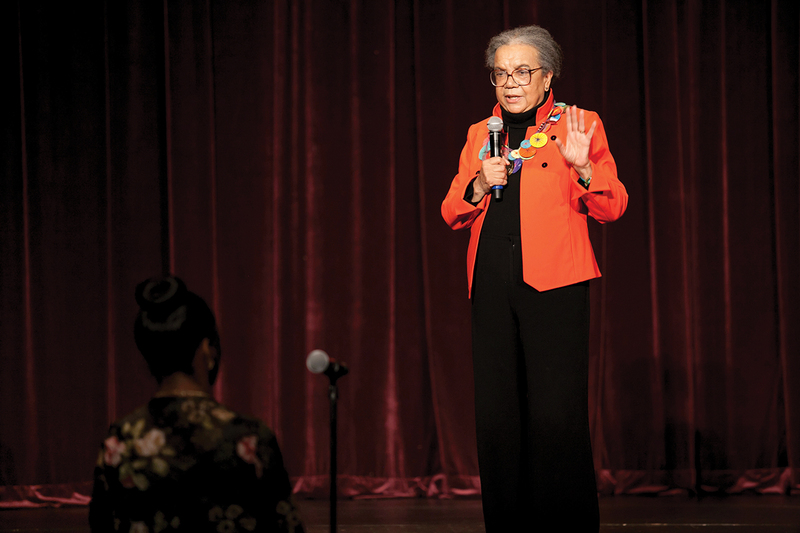 Launching the series in March 2016, civil rights activist and children’s advocate Marian Wright Edelman offered forward-looking, poignant words to a packed audience at Sottile Theatre, with the goal of guiding our children on a path toward self-empowerment and success. We have talked about today. Later that same month, acclaimed lawyer Bryan Stevenson, founder and executive director of the Equal Justice Initiative, addressed another standing-room-only Sottile crowd, serving up sobering statistics on the race-related implications of our criminal justice system, as well as what we can do about it. We have faced down the past. 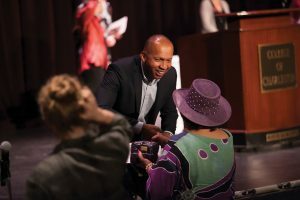 Culminating the inaugural series, in March 2017, Ta-Nehisi Coates, the author, journalist and winner of the 2015 National Book Award, cast an unblinking eye on our country’s history, with the mission of helping us all gain understanding of the challenges we face today by tracing the roots of the divide. Coates then called for each of us to strive today to clearly see our collective yesterday. Today, the recent tragic events that have reverberated throughout our city and our nation remain ever-present in the minds and hearts of the community. Together, we can find encouragement and new direction through efforts like the Race and Social Justice Initiative. And, with this meaningful talk, we can help create a model for change. 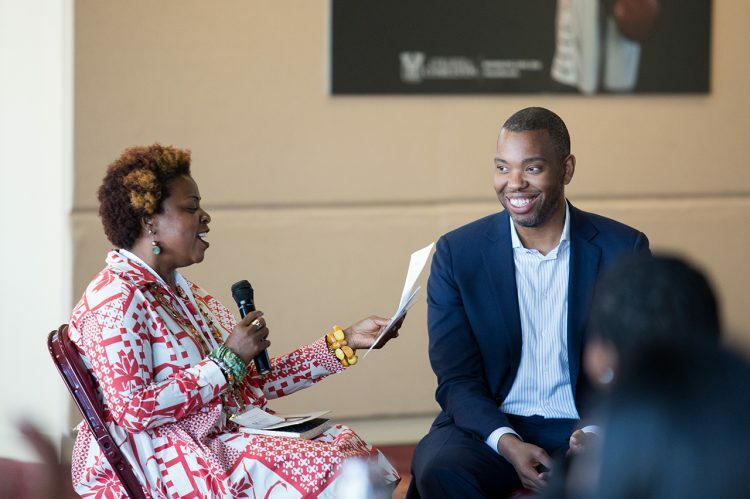 Feature image of Patricia Williams-Lessane and Ta-Nehisi Coates by Mike Ledford.